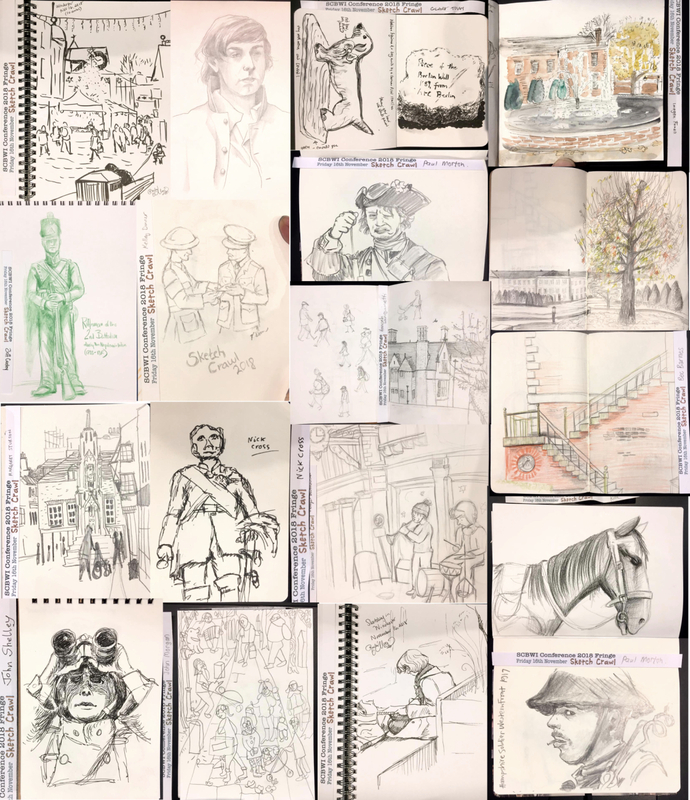 The 2018 SCBWI conference in Winchester was an absolute blast, with illustration at the forefront of activities. John Shelley summarises what happened, and asks our team of illustration volunteers for some feedback. You've read the reports, and seen the glittering photos on social media (search #SCBWICON18 for all the fantastic pix!) 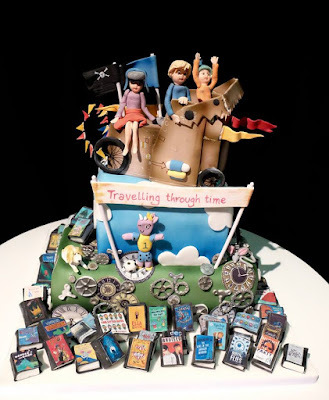 - the conference this year was a tremendously inspiring event for all, from the talks to all the fun at the costume party and mass book launch. But let's get to the nitty-gritty of what was on for illustrators. 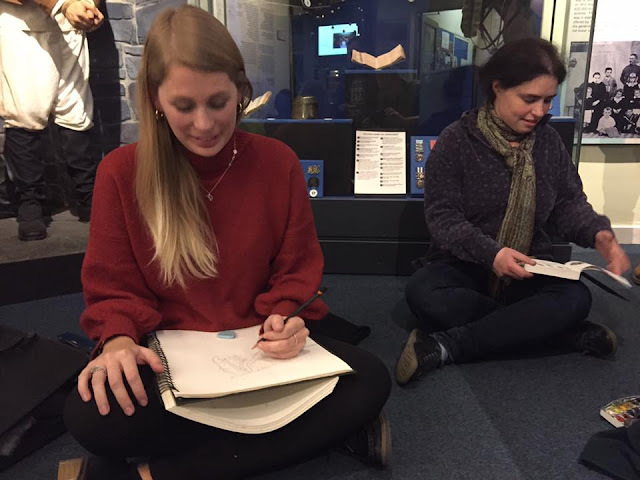 The annual SCBWI conference in Winchester is the highlight of the year, and the weekend started off brilliantly for illustrators with the Friday afternoon sketch crawl. In a change from previous locations, this year artists focused on the town's military museums, which provided a rich source of subject matter ranging from artefacts to dressed-up mannequins. Sadly, one of our speakers for And the Winner Is... had to cancel, but Jake Hope ably hosted the session alone, giving a very thorough rundown of the Greenaway Award and the processes involved in selecting the finest illustrated books published in the UK. At the same time in the main auditorium our Industry Panel, consisting of agent Caroline Thomson of Arena Illustration, Egmont Creative Director Tiffany Leeson and Art Director Ben Norland talked about graphic novels, and the future of black and white illustration for older books, as well as looking for more diverse representation. Examples by Jim Kay and experimental illustrated books for older readers were given. The basic message was that they are always looking for illustration that is different from what they have - in all genres - and all said they will take risks supporting and publishing that alongside the usual money spinners. 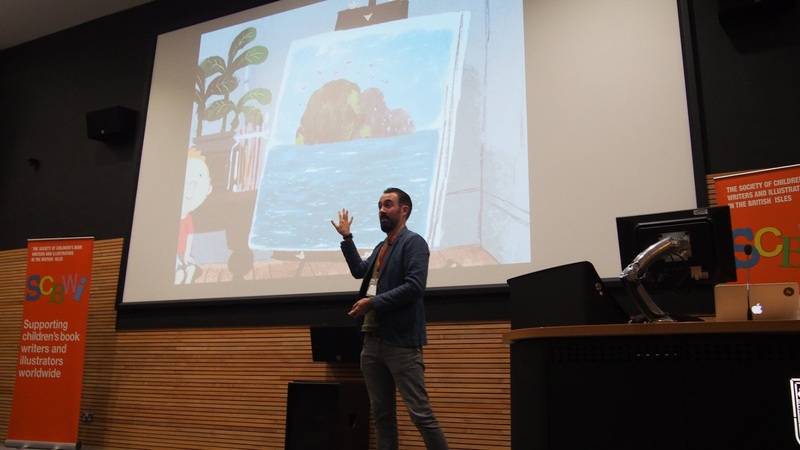 The Illustration Keynote speech was given by the fabulous Benji Davies, who guided the audience along his path, from studying as an animator to development of his first picture books, with special focus on his breakthrough masterpiece The Storm Whale and subsequent titles. The one-to-one portfolio reviews are one of the most popular services for illustrators at the Conference. A wide range of illustrators signed up to receive expert opinion and guidance on their work. The review team were Tiffany Leeson (Egmont), Caroline Thompson (Arena) and myself. 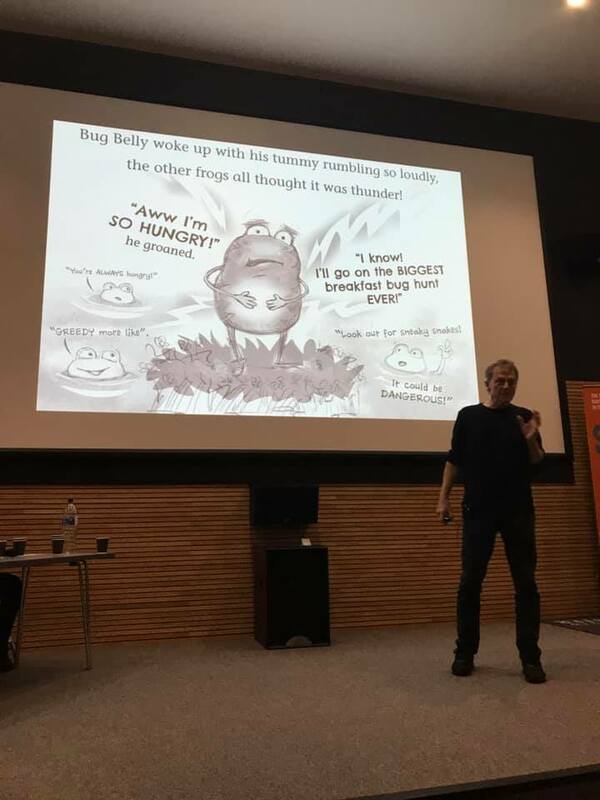 This year our illustration team member Paul Morton took some time off from overseeing the One-to-Ones to be the sole illustrator contestant in The Hook, presenting his picture book Bug Belly to the publishing panel. It was a tough challenge, and though the prize went to one of the writers, an inspiring presentation, well done to Paul, and all the other contestants! Meanwhile, Derek Brazell from the AOI (Association of Illustrators) gave a thorough and in-depth coverage of the business side of running an illustration career. 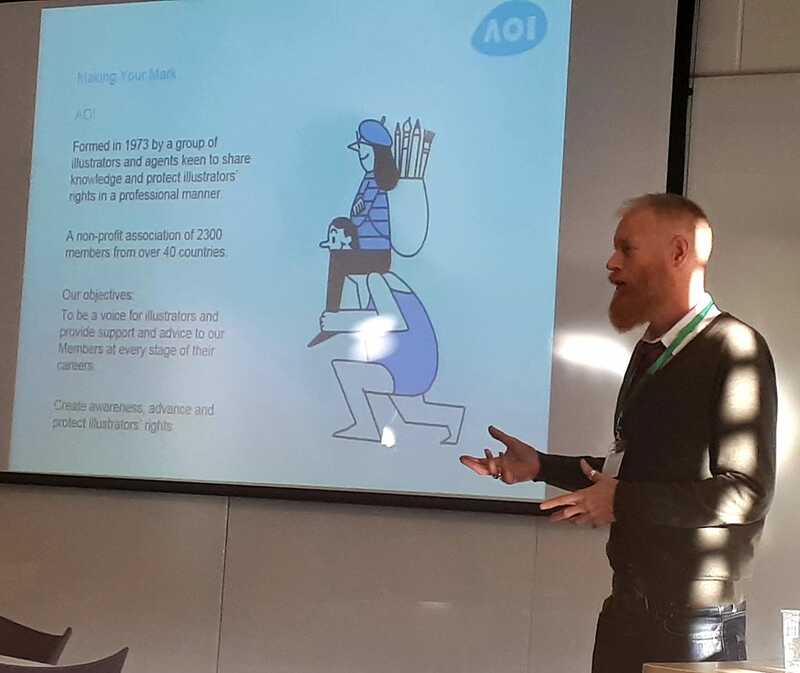 The details on the handouts are useful crib-sheets for contracts and pricing, and the workshop in general would have been very helpful for a newby illustrator, with a good overview of the things to think about when approached for work. 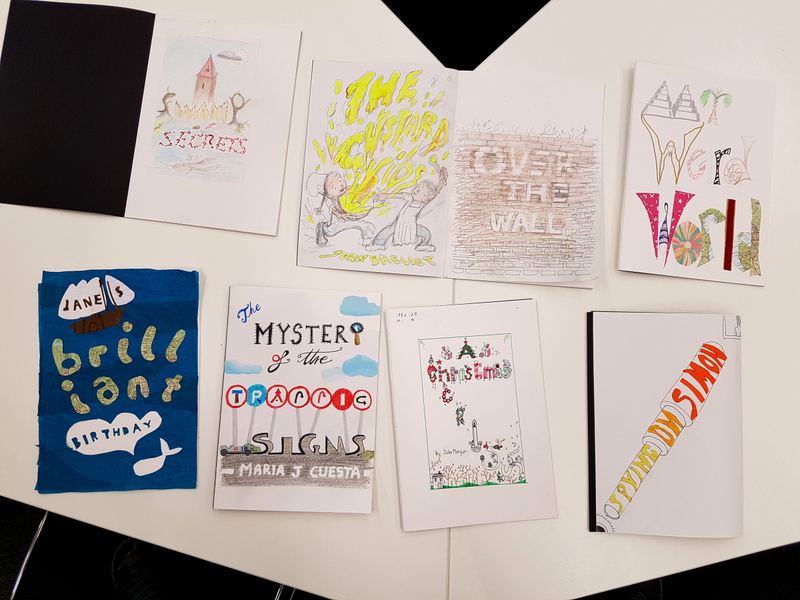 There were some truly wonderful portfolios on show this year and many very fine competition entries. Margaret Sturton was awarded best portfolio and won a one-year folio membership with the AOI. 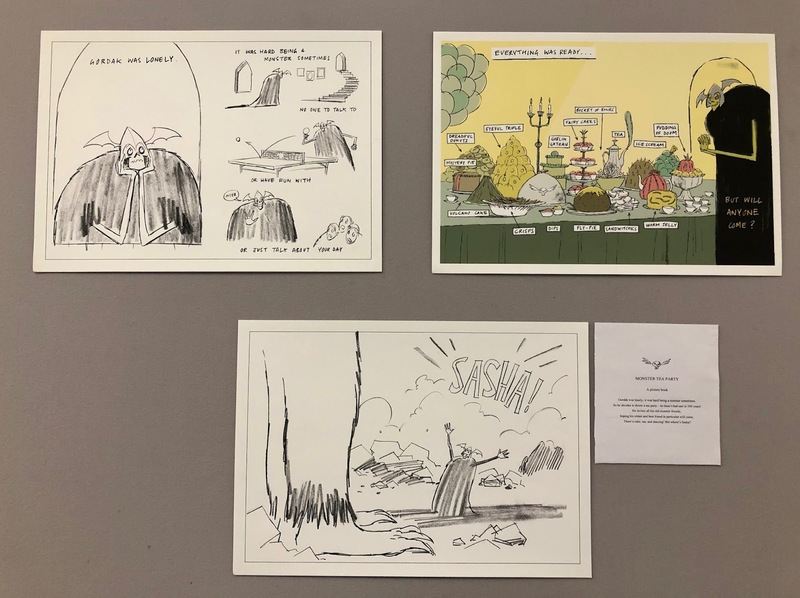 Adam Beer, the winner of the Beginning-Middle-End competition, won an appointment with Hachette Children's Publishing's Emily Lamm (Commissioning editor) and Paula Burgess (Art Director). Two notable recognitions for the Beginning-Middle-End competition were Sanprapha Vudhivorn and Jess Stockham. 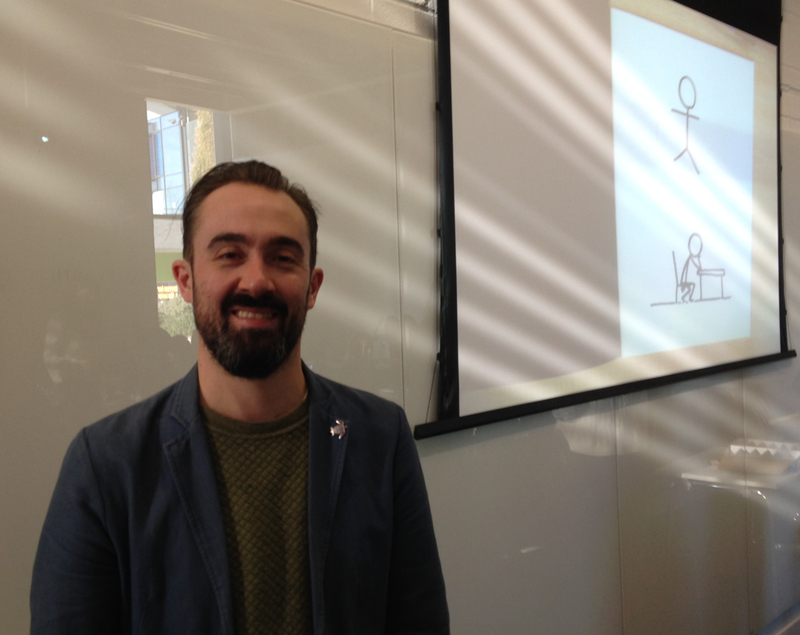 Having already wowed everyone with his keynote speech on Saturday, Benji Davies ran a full day workshop on Sunday, Under the Hood. Aimed at picture book writers as well as illustrators, delegates were asked to delve into their childhood memories for stories, and develop characters from simple body poses. Meanwhile, two other smaller workshops ran for illustrators - during the morning Paul Coomey, Art Director of Stripes Publishing ran a brilliant dummy-making session Mocked-Up Masterpieces, discussing the dummy submission process and showing attendees how to make some amazingly polished handcrafted presentation books. In the afternoon graphic designer Chris Fraser presented an inspiring talk on Illustrated Typography, taking us through an encyclopedic selection of examples showing how designers and artists use hand-crafted lettering in books and other media, before setting the group to work on their own hand-lettering. 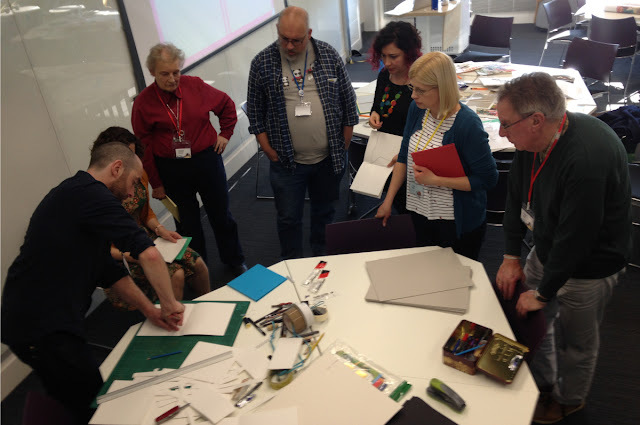 It was a fascinating and challenging workshop. I've just focused on the activities specifically aimed at illustrators, but there were many other workshops of value to anyone involved in children's books, from Nick Tucker's engaging keynote speech on the history of children's books, to workshops on school visits, and Steve Bohme's discussion on the Nielsen data index "an illuminating talk delivered with wit and panache" (Mike).... so much on offer, but space here is limited! I'm so grateful to everyone that I knew volunteering to help out on so many bits and bobs over the weekend, namely Imogen Foxell, Jeff Crosby, Christof Simons. Also I was extremely grateful to everyone in the illustration team for taking care of Benji, Paul and Derek on Saturday. 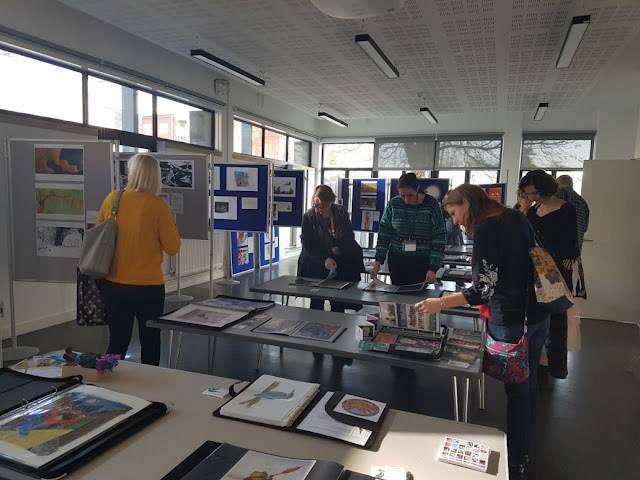 And of course, my enormous thanks as well, to all the fantastic team of volunteers, and all the illustrators who came to the conference to help make it such a great success again this year. 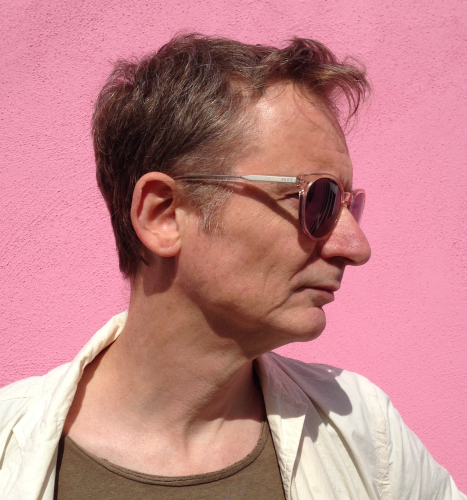 John Shelley is the Illustration Features Editor of Words & Pictures and the illustrator of over 50 books for children, most recently the picture book Magic for Sale with words by Carrie Clickard (Holiday House). He's twice been nominated for the Astrid Lindgren Memorial Award, in 2018, and again for 2019. Great collected write-up John. I particularly enjoyed seeing what went on in the sessions that I missed. 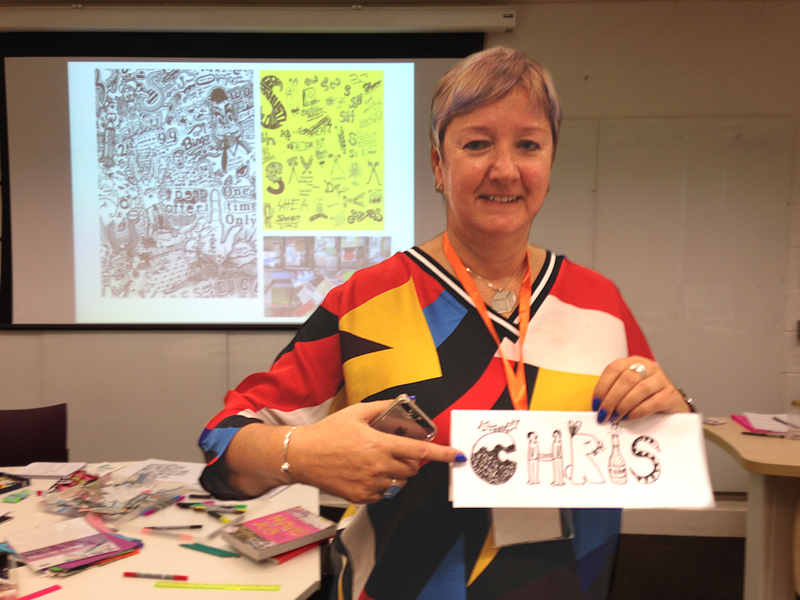 The illustrated typography workshop looks really useful.